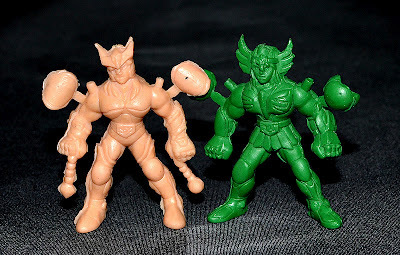 What: Back in the early 1990s, one type of figure line that appeared frequently in toy vending machines included a variety of futuristic-looking warriors that came with extra armor pieces attached (which were meant to be removed and placed onto pegs on the figures' shoulders). 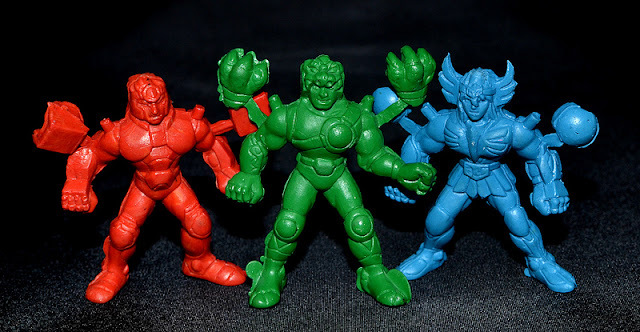 I got a number of these figures as a kid, and as with most other vending machine toys at that time, always just figured they were generic characters without a tie to anything more official. 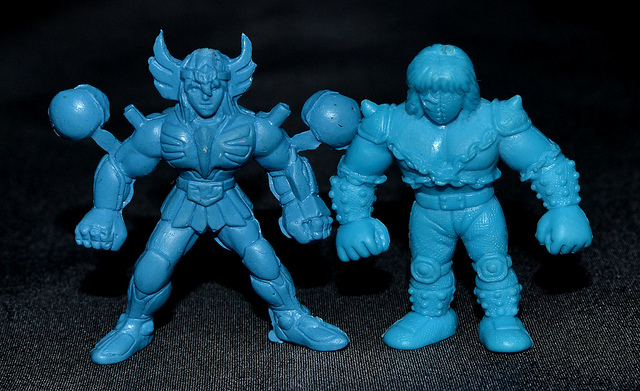 I learned later that these are actually bootlegs of figures from a Japanese manga series titled Saint Seiya: Knights of the Zodiac. 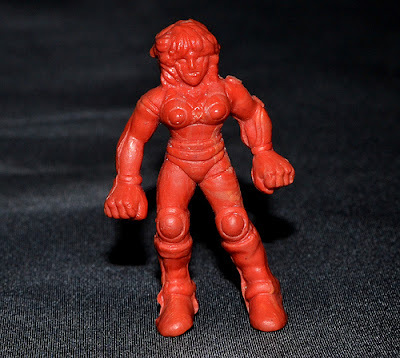 They came in a variety of colors including at least blue, green, red, flesh, yellow and orange, and most of them were made out of a slightly softer plastic than that of MUSCLE figures (although the flesh example pictured above is more rubbery). In vending machines, they were sold under names such as "Earth Defender" and "Creatures from the Stars," some visual examples of which were compiled by LittleRubberGuys.com member Soupie and can be seen here. If you're a collector of little rubber guys, chances are you have come across some Saint Seiya bootlegs at one point or another! When: I'd estimate that I got these in the early 1990s. I'm not sure if they were also sold before or after that. Where: Sold in toy vending machines. People who like Saint Seiya will think they are cool, but I think these Saints are so ugly.